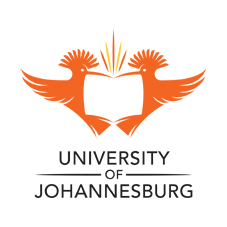 The University of Johannesburg (UJ) is currently accepting online and hard copy applications from prospective learners who would like to pursue their studies at the University in 2014. The closing application deadline, for undergraduate first-year study in 2014, is Friday, 27 September 2013. “The University can only admit between 10 500 and 10 800 undergraduate first-years in 2014. This is in accordance with the formal Enrollment Plan approved by the Department of Higher Education and Training,” says Professor Marie Muller, Registrar, UJ. Applicants are assessed to establish whether they meet the admission requirements for study programmes, before registration. Applicants need to apply the year before they wish to study, within the application period; by submitting an application form to the University with their final Grade 11 marks or if they already matriculated, with their final Grade 12 marks. The application process is only a pre-registration process and meeting the minimum admission point score (APS) does not guarantee a place at UJ. The University will inform all applicants in writing whether or not their application for admission was approved or turned down. Applicants can also check their application status on UJ’s website (www.uj.ac.za). Successful applicants will be informed when to register in January 2014. More information on the application process and programme entry requirements can be obtained on www.uj.ac.za. Alternatively the UJ’s Call Centre can be contacted on 0861 00 00 85 or 011 559 4555. More information on residence applications and financial aid closing dates can also be obtained on the website.